Turn your Halloween venue into a place of devilish delight with the exciting selection of Halloween Decorations from Partyrama. With everything you need to create the ultimate Halloween party atmosphere, our hand-picked range of decorations will turn even the plainest of rooms into a spooktacular carnival of horrors! Choose from horrifying hanging decorations and party banners to capture your guests imagination, and add to them some of our unique Halloween party signs for an extra dimension of details. If you haven’t seen our stunning range of scene setters, they are highly recommended. Easy to hang giant room rolls that turn any room into a gothic party scene, complete with your choice of add-ons and extra to give it your own customised touch. Window decorations are excellent for transforming plain old windows into creepy views into your house of horrors, while door covers and Table Decorations are fantastic for turning every day household objects into an amazing freak show of party fun. For a modern spin on the traditional party balloon, our excellent range of Halloween balloons are perfect, while should you want one of our balloons delivered pre-inflated then make sure your browse our superb Balloon In A Box products. Add to the mix some awesome Halloween props and horrifying lifesize cardboard cutouts and you will create a Halloween party occasion that will live long in the memory! Finally, stamp your own brand of horror on the occasion with one of our excellent Personalised Halloween Banners. Customise one of our striking templates with your own photos and text using our easy to use app, and we’ll print it and send it out the same day with the rest of your order. We truly have everything you could wish for to host the perfect Halloween extravaganza! Enjoy free delivery on orders over £50 to mainland UK, and should you need your box of horrors quick time then make sure you check out our next day and weekend delivery options. 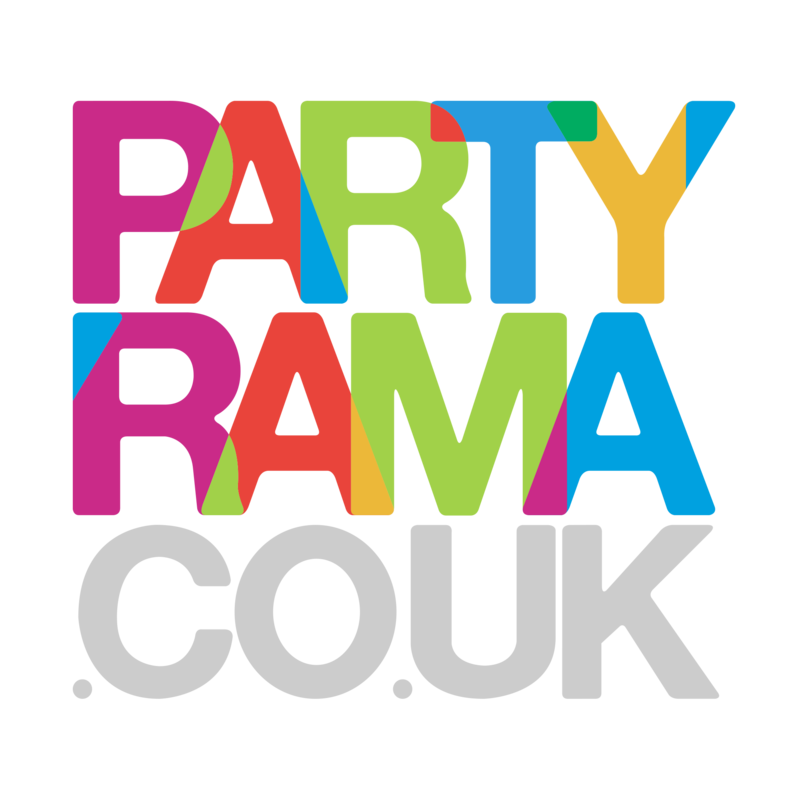 With an exciting and original selection of Halloween decorations on offer and the lowest prices on the web, make Partyrama your one stop Halloween party shop this year! Browse and shop our entire range of Halloween party decorations on one handy page! Unique and modern hanging decorations for Halloween including lanterns, bunting and lots more. Giant room rolls quickly and easily transform your room into a Halloween party scene you’ll never forget. Decorative Halloween props including ghouls, ghosts, skulls, weapon props and lots more. Create a spooky table to die for with centrepieces, table confetti, gems, creepy crawlies and many more ghastly delights!